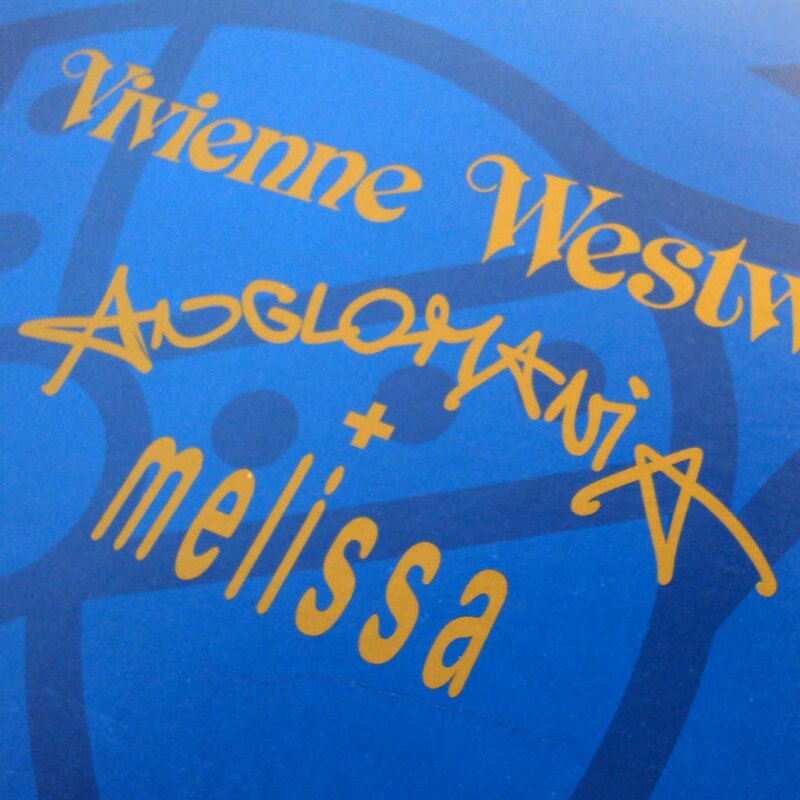 My new plastic-fantastic Vivienne Westwood Anglomania for Melissa thrice-buckled black ballet flats are amongst the many winter sales purchases I failed to properly present here on the blog till now. My bad. They're just perfect for this season, just before sandals become an absolute necessity. Here they were paired with some red Accessorize tights for the popping colour effect, but I can assure you, they are just as comfy worn bare-legged as well. And what's best is that they cost me a mere €50! That animated gif you see above is me doing the shopping win dance. Well, not really, but it could be. I did a brief search online after I brought them home, just for the kicks, and I found out that in ASOS they would cost me €93.75, in Farfetch €95.00 and in Zappos $123. I feel like quite the savvy shopper right now! Where did I score such a bargain, I hear you ask? Well, I got them from that little shop of delights called Saia in downtown Athens. Remember it from last year? If you still haven't paid a visit, do it now. Winter sales may be long gone, but now is the right season to stock on colourful dresses and brazilian bikinis that were actually *made* in Brazil. And except for Melissa, one can also find other quirky footwear brands like Irregular Choice and Seychelles, which I had people asking me whether they're stocked in Greece. Well, it looks like they are. Run! when it comes to shoes first thing that comes in my mind is melissa! !every time i buy one pair, i can't stop thinking the next one...night owl eh? ?i know so..
Wow excellent pairing with the tights! How comfy are they? Do they smell or get hot? I really want a pair, mainly cuz it's well priced, but I have to take the plunge! Είναι υπέροχα!!!καλοφόρετα! !Αν μπορέσεις δείξε μας με τι ρούχα τα συνδύασες κ γενικά πως προτείνεις να φορεθούν!!! I admire the fact that you can wear plastic shoes... For me it's very difficult as my feet get very hot and the shoes are slippery after a while... I really really like this pair!!!! when will you show us all of your melissa collection? They're very comfy and they some pre-perfumed too! Granted, they are not for all-year-round (the girl at the shop where I got them from said it so herself that my feet will get too cold in winter and too hot in mid-summer) but they're perfect for this season! Only thing is, you have to get them in exactly your size, as they won't stretch even a bit. Τα φοράω σήμερα, ελπίζω να βρω χρόνο για καμιά γρήγορη φωτό, αλλιώς από ΣΚ που θα έχω χρόνο. If the weather starts getting to hot and the shoes too slippery, I guess I'll have to exchange them for sandals, but till then they're very comfy! you should try on this seasons too.. They are truly glorious. Glad you nabbed 'em! soon..very soon...it is smth that i ve already had in my mind...alla twra pou vlepw oti tha s endiafere kati tetoio tha to frontisw asap...PS they smell like candies! !